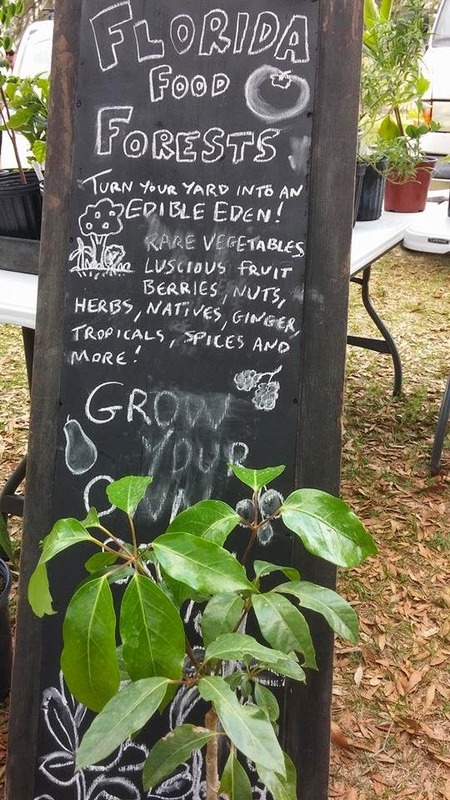 Florida Survival Gardening: Today at the 326 Community Market: Chinese Chestnuts and More! Today at the 326 Community Market: Chinese Chestnuts and More! We're in the midst of show season right now... there are lots of plants coming in and out of the nursery so fast I can barely keep track of inventory. That said, you can be sure that there will be some really cool edibles with me this week, including fruit trees, nut trees and perennial vegetables. One of the trees I'm very happy to be carrying this year is the Chinese chestnut. It's a much shorter tree than its noble American cousin or the hybrid Dunstan chestnut. This means it will fit in a small yard better, plus bear you edible chestnuts in the fall. Plant two for nuts or just plant one if you want an ornamental tree for your landscaping. My trees are young (about 2' tall) and ready to plant. Fortunately, chestnuts grow and bear quite quickly, sometimes in just three years from seed! Along with chestnuts, I'll also have cassava plus some small perennial vegetables and other cool stuff - stop on by and say hi. Our booth will be set up from 3-7PM - look for the Florida Food Forests sign. Market details are here. Friend them on Facebook - their page is quite active and you'll get regular updates on new vendors and events.